First of all, sorry for the black text on the light blue background. Is it bothering all of you as much as it’s bothering me? I can’t tell you how many times I’ve tried to change it to white. ANYWAY, we did it. 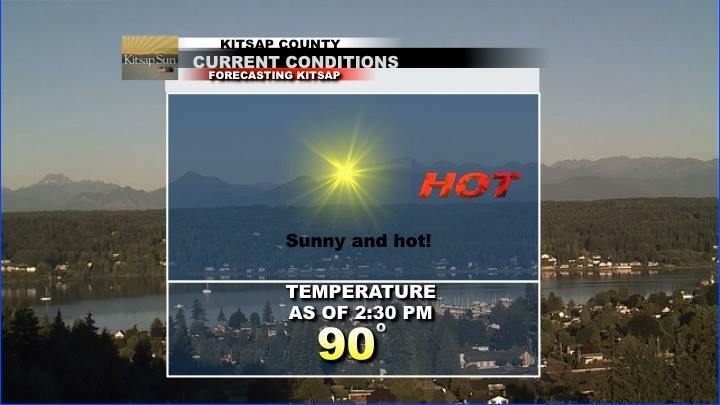 Since 2:30 pm we’ve been sitting at a solid 90º. It’s about 3:30 pm right now and I’m confident we’ll be able to squeeze out a few more degrees before this early September heat spell winds down. This means our record high temperature of 86º set back in 2011 is…well, a thing of history. We still have a couple more days of unseasonable warmth as offshore winds and a late-season thermal trough slowly fizzle away. Thursday and Friday both look mostly sunny with highs in the low to mid 80s. For those just itching for more fall-like weather, true relief arrives by the weekend with highs settling down into the low to mid 70s.